In order to check the hardware requirements, please open the Settings menu of your Android Smartphone/Tablet. Android version can be checked in (General ->) About (-> Software info) menu of your Android device. 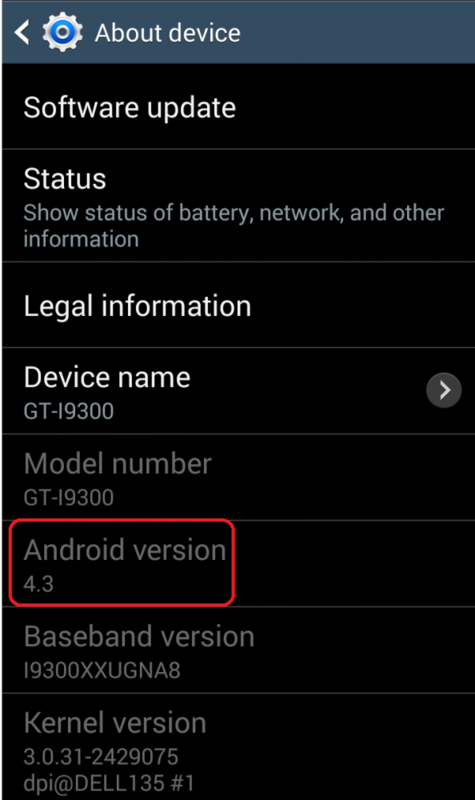 In the example below, the Android version is 4.3. 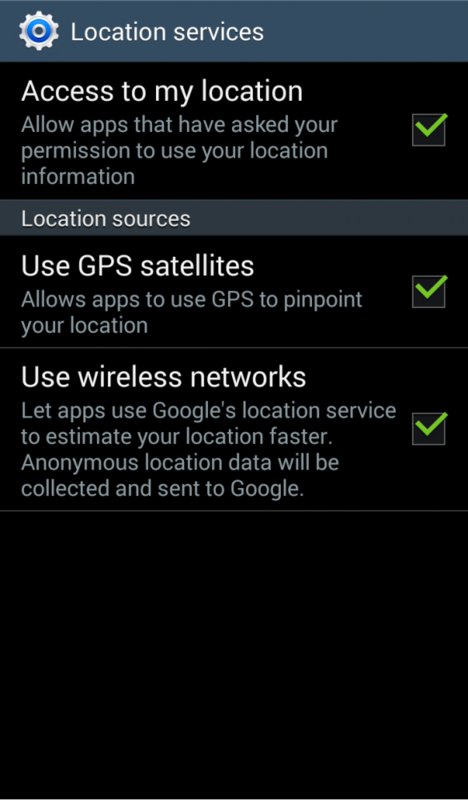 GPS activation can be checked in (General ->) Location (services) menu. All the options shall be activated in order to enable the FleetWork application access to my location, use GPS satellites and use wireless networks.